Ideal as an entryway accent, corner piece, or standing beside a bookshelf (or anything else, really), this Marginatum w/ Decorative Planter makes a definitive statement. Standing a full 57� in height with a literal fountain of cascading leaves, it simply cannot be missed. 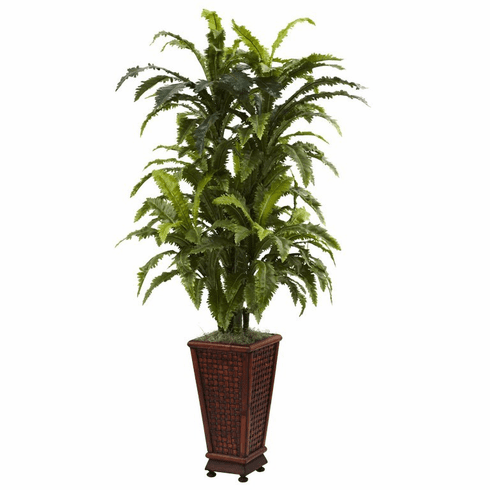 Complete with a handsome decorative planter, its perfect for both home and office decorating. Plus, it�ll never need water, making it a true �no-maintenance� piece. Height= 57 In. X Width= 32 In. X Depth= 32 In.